Home bed health news healthy home sleep sleeping useful wake up Take These Two Ingredients Before Sleeping And Never Wake Up Tired Again! Take These Two Ingredients Before Sleeping And Never Wake Up Tired Again! We all know how important it is to get a good night’s sleep, but in recent years, the average amount of sleep we get has been steadily decreasing. In both men and women, the average amount of sleep has dropped from 7-8 hours a night to 6-7 hours. While this might not seem like a big difference to some, it makes a huge difference to your body. During the day, your body is working hard to keep up with your day and it requires the appropriate amount of time to rest, recover, and recharge to do it all over again. Most people think that not getting a good night’s sleep simply means you’ll be a little tired the next day, maybe a little foggy. It’s nothing that a cup of coffee can’t fix, right? Coffee does help, but loading yourself up with caffeine is a band-aid solution and not a permanent fix. A lack of sleep is also a factor in some of the most serious health problems in people and can be a trigger for illness and disease. Studies have found that people who have a shortened sleep, which is defined by less than 6 hours are at an increased risk of heart disease. In 2011, the European Heart Journal’s review of 15 medical studies involving almost 475,000 people found that people with shortened sleep cycles had a 48% increased risk of developing or dying from coronary heart disease.They also found that these people were also at a 15% greater risk of developing or dying from stroke. Interestingly enough, the study also found that long sleepers, or people who average nine or more hours a night, also showed a 38% risk increase in developing or dying from coronary heart disease and a 65% increased risk of stroke. With sleep, as with most things, balance is the most important thing. Another similar study found that a lack of sleep predicted higher blood pressure. For most people, the body uses the time you are asleep to lower blood pressure, and with a shorter amount of sleep there may not be enough time for this dip to take place. The world we live in today doesn’t make it any easier for us to get a good night’s sleep. People are reporting higher levels of stress caused by things like work, current events, family situations, and other factors that didn’t affect past generations. We are also using more and more technology that affects our sleep cycles without us even realizing it. There are many sleep aids that can be purchased but they are artificial and may even cause dependency with some people. As always, Mother Nature has provided us with a natural solution to this ever increasing problem. 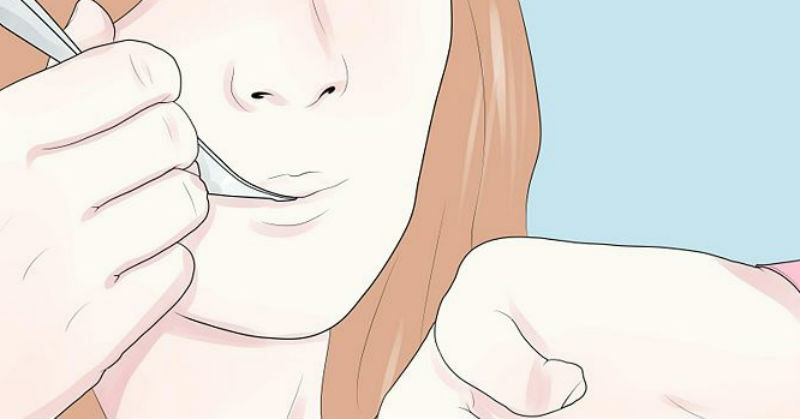 This simple, 2 ingredient solution is your key to getting a great night’s sleep. It will help your body relax and regroup from the day and prepare itself for the next morning. Mix these two ingredients together and store it in a glass jar. You can make as much or as little as you want, but a 5:1 ratio works the best. Just put a little bit of this mixture under your tongue every night before you go to sleep and let it dissolve naturally. Himalayan sea salt contains more than 80 minerals and elements that your body needs for different processes, aiding your body in recovering from the day. Honey contains glucose with aids in supplying our body’s cells with energy. This salt and honey combination works to increase serotonin as well, helping us to destress naturally allowing us to get the best sleep possible. So try out this natural sleep aid, and rest easy knowing your body will be ready to face the day.